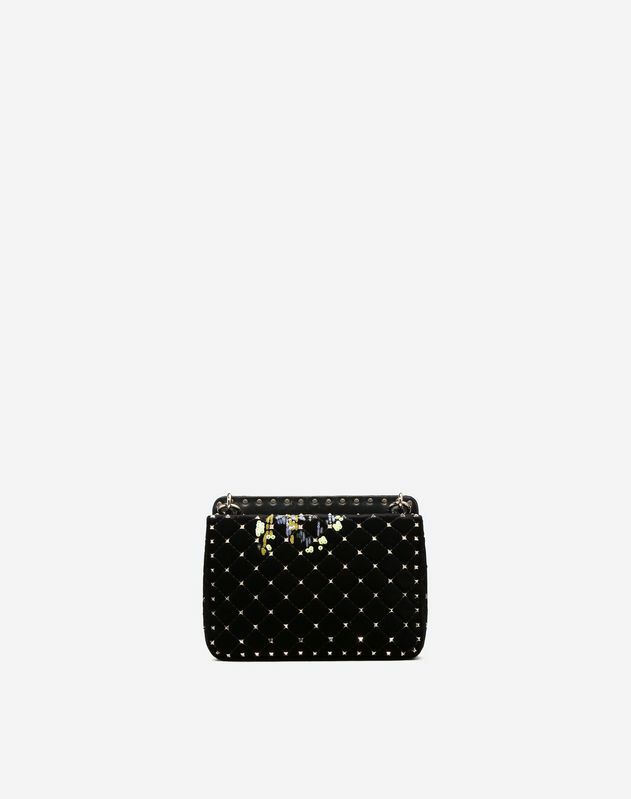 Medium Valentino Garavani Rockstud Spike.It chain bag in velvet. 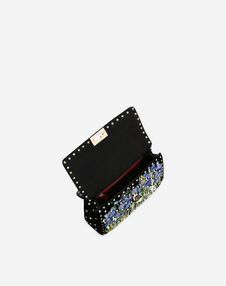 Embroidered with multicolor bead and sequin flowers. 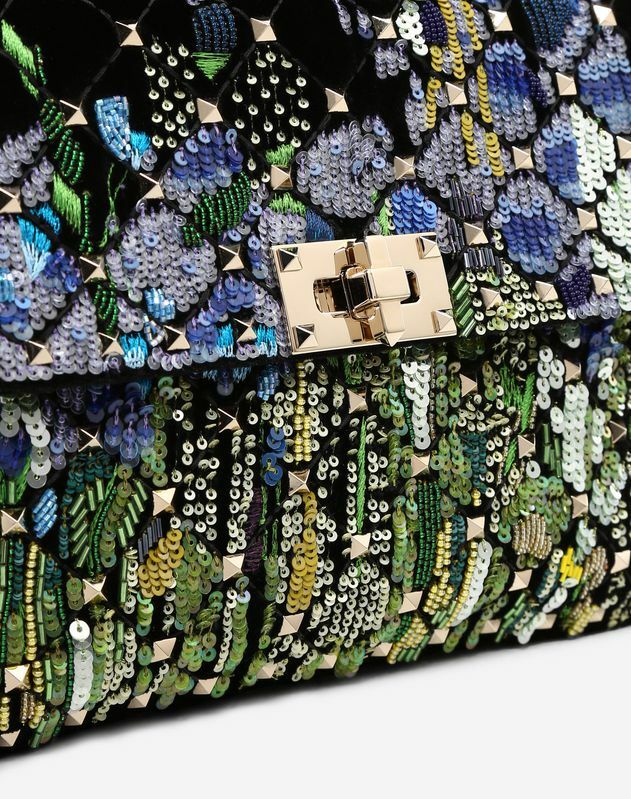 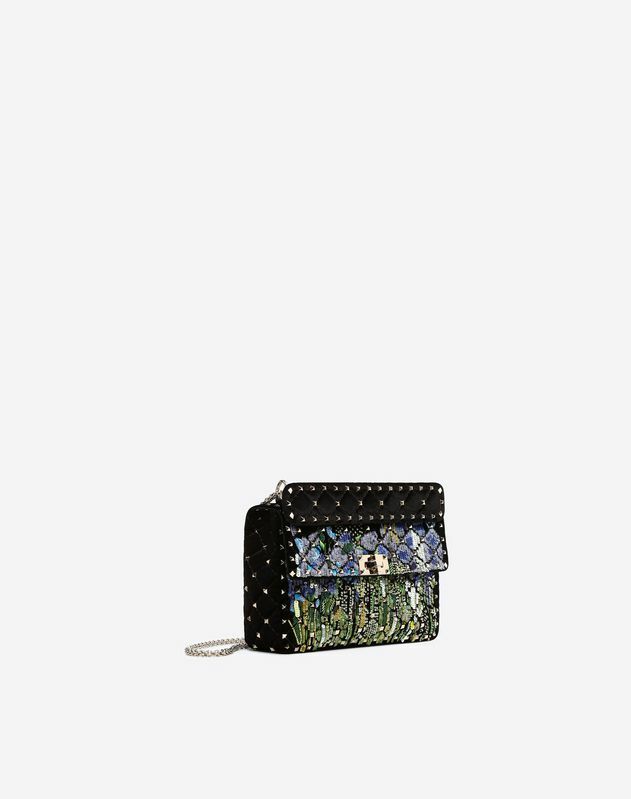 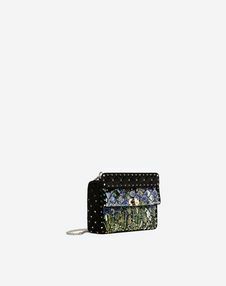 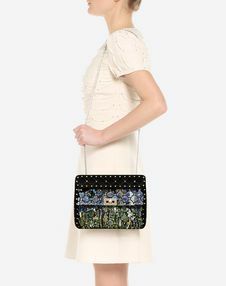 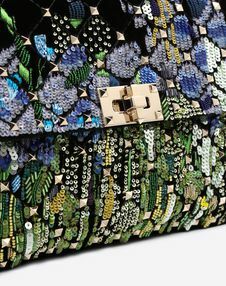 Quilted construction embellished with small studs.Built with a detachable handle and chain strap, the bag can be worn across the body or carried by hand. - Dimensions: W23 x H16 x D6.5 cm / W9.1 x H6.3 x D2.6 in.